Welcome to Jewish Australia Online, a global network of culture and information websites. Jewish Australia Online is part of a privately owned media and publishing company based in Melbourne, Australia. It comprises 5 websites and an Online Shop. Our readers and customers hail from over 70 countries. Our sites log 3 million hits per month with very high global traffic ranking. The sites are constantly expanding and developing to reflect the diversity of Jewish life. Our worldwide readership mirrors the the Australian Jewish community itself: they travel widely, read extensively and are high-ratio internet users. Jewish Australia.com is also a vehicle for Australian business to reach a niche consumer market. Our philosophy is to connect Australian Jewish communities across the continent, and link them to Israel and the Jewish world. We welcome all contributions, suggestions and advertising queries. Contact the publisher via email. 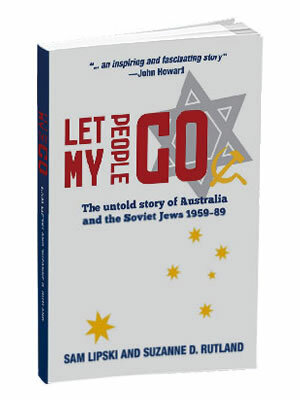 Thank you for your interest in Jewish Australia. All visitors are warmly welcome. This site could not have been born without the support and friendship of Jared Gottlieb and Ruth Cooper z"l.